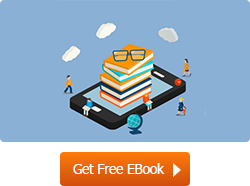 Choosing the right career can be an overwhelming prospect. With the plethora of career options out there, how do you commit yourself to just one career path? There are a few however who have always known (it seems) what to do in life. These individuals may have known from a young age what they wanted to do and accordingly, planned out all their decisions with that goal in mind. If, however, you are not one of those few exceptional cases, fear not. There may be certain indicators that could guide you as to what careers may be suitable for your particular personality type. Your zodiac sign, or astrological sign, has a significant effect on the specific personality traits that you possess. Different careers are particularly suited to various personality types. Read on to discover what traits are common to each zodiac sign and accordingly, which careers may be best suited to each sign. 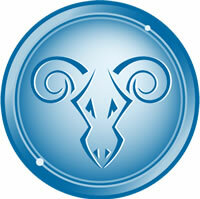 Aries, represented by the ram, are strong and determined individuals. They are full of ambition, assertive, outspoken, and dynamic people. As a fire element sign, Arians are traditionally adventurous, active and outgoing. Likewise, they need a lifestyle that reflects their dynamic personalities. The following careers that have been suggested for Arians are ones that provide them with a platform on which to voice their strong opinions and establish their place in the world. Furthermore, their relentless ambition is a trait, which will help them as entrepreneurs to succeed or in politics, climb the ranks. Maya Angelou, Kofi Annan, Leonardo Da Vinci, Thomas Jefferson, Robert Downey Jr. 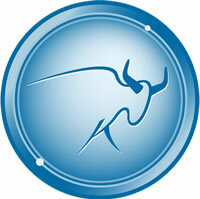 The defining quality of a Taurus is their need for stability and security. This is something they look for not only in their personal lives, but also in their careers, both in terms of job security and financial security. As individuals, Taureans are reliable, honest, practical, and methodical. They execute well organized and thought out plans and work well with others. The above career suggestions all involve hard work and dedication. If they establish themselves well in these professions, they can also benefit from stability and security for the future. Cate Blanchet, George Clooney, Malcolm X, William Shakespeare, Audrey Hepburn. The symbol of Gemini is the twins. These individuals are terminally curious, mischievous, multi-faceted, and thirsty souls. Gemini is probably the most social and talkative of the zodiac signs. They tend to be better suited to careers that provide a social outlet and a lot of variety. Versatile beyond imagination, they tend to change careers many times. A willingness to try anything once brings them closer to their goals. Other traits, which are dominant among Gemini’s, include adaptability, balance, and flexibility. The above career paths are filled with enough variety to satisfy Gemini’s curious natures. Furthermore, the fact that these careers are not your standard, run-of-the-mill desk jobs, will suit Gemini’s who need freshness and new things to try. Angelina Jolie, Walt Whitman, Bill Hader, Johnny Depp, Rafael Nadal. The crab is a tough creature on the outside but soft and gentle on the inside. This zodiac sign is governed by the Moon, and as such, these individuals are often described as enigmas. They are also energetic, dramatic, kindhearted, imaginative and protective. The following careers suit Cancer’s protective and nurturing instincts. As a lawyer or a psychologist, Cancers can help individuals in need. Oceanography is particularly well suited to Cancers because they have crab for a zodiac symbol with strong connections to the ocean. Becoming a baker would allow them to exercise their creative skills and enjoy comforting and nurturing their customers with their food. Nelson Mandela, Harrison Ford, Pablo Neruda, Lionel Messi, Meryl Streep, Malala Yousafzai. The roaring lion; Leo’s are born leaders. These individuals are charismatic, positive-thinking, fearless, inspiring, and independent. Their inborn ability to assume leadership roles makes them good candidates for roles, which will bring them into the spotlight or in positions of power. They have very gregarious personalities and are good-humored. This makes them very likeable and their positive attitude and hard work results in many opportunities presenting themselves to these individuals. The above careers are all the ones, which allow Leos to look and feel important. Leo’s are goal-oriented and competitive, and their work ethic and personality usually results in them becoming well-known and liked within their chosen field. Barack Obama, Jennifer Lawrence, Usain Bolt, Madonna, Steve Carell. Virgos are perfectionists by nature. They have a keen eye for detail and are meticulous when it comes to executing any plans. These individuals are very organized, hard-working, and helpful. Virgos require stability. They don’t like to be curve-balled. Many Virgos also pick up languages very quickly. Each of the above suggested careers requires individuals to have a keen eye for detail. In addition, Virgos are adept at abstract thinking, and these jobs also require that ability. Beyoncé, Jimmy Fallon, Sean Connery, Colin Firth, Mother Teresa, George R.R Martin. Like its astrological symbol, Libra’s are all about a balance of scales. These individuals are diplomatic, sociable, charismatic, and work really well with other people. Libras love excitement, new situations, and adventure. They are able to make friends with people from all walks of life and are always eager to try something new and exciting with enthusiasm. Libras cannot find themselves in a boring or monotonous work environment; they need excitement, and contact with people. All of the suggested careers for Libras allow them to take part in engaging and challenging work with ample interaction with other people. Hugh Jackman, Serena Williams, John Lennon, Anne Rice, Margaret Thatcher. Scorpios are the embodiment of focus and control. These individuals are analytical, hard-working, intuitive and resourceful. They are often drawn to mystery and all things complex and abnormal. Scorpios also have the ability to block out all distractions and concentrate all their energy on the task at hand. Each of these suggested careers has the benefit of allowing a Scorpio to engage in work, which requires them to apply their analytical skills. Furthermore, these jobs can be quite intense but since Scorpios are able to focus on the task at hand and block out distractions, they could be successful in any one of these careers. Bill Gates, Emma Stone, Carl Sagan, Leonardo Dicaprio, Anne Hathaway, Hilary Clinton. Like their astrological symbol - the Archer - Sagittarians are well-known for setting their sights towards a target and hitting their mark. If they want something, they put in all the effort to get it. Their belief system is unshakeable; in themselves and also in spiritual matters. They also have a natural zest and hunger for life and therefore they seek out new experiences and adventures. 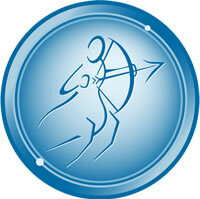 Sagittarius’ find it very difficult to stay stationary; they have a constant need to explore. They also have very big hearts and are very caring individuals. The above careers allow Sagittarians to make use of their communication skills, satisfy their need for novelty and adventure, and allow them to work for causes they believe in. Brad Pitt, Walt Disney, Mark Twain, Emily Dickinson, Bill Nye, Jane Austen. Capricorns are very ambitious individuals and enjoy and embrace challenges. They understand the importance of hard work and are very determined to achieve their goals. Power is very central to the identity of a Capricorn. Therefore, they are very keen to climb the ladder and reach the top. In this capacity, they are good at managing and delegating work. The following careers are ideal for a Capricorn because they allow them to exercise their organizational, problem solving, and logical skills. Furthermore, the analytical mind of a Capricorn is drawn towards challenging subjects such as math and science. These careers allow Capricorns to exercise all these skills as well as carry out work, which requires them to focus on subjects that they have a natural inclination towards. Martin Luther King Jr., Michelle Obama, Elvis Presley, Muhammad Ali, Stephen Hawking. Aquarius’ are often described as visionaries. They love to explore innovative ideas and are curious and adventurous by nature. They are most likely to have an unconventional job because they will likely rebel against corporate environments, needing freedom of thought and movement. They will not be satisfied doing things the same way they have always been done and so they are always looking to find a fresh approach. Another quality that sets Aquarians apart is their humanitarian nature. Each of the following careers allows Aquarians to be free, creative, and innovative. They may have the chance to discover new theories, create original pieces of art or music, or discover new details about our universe. Charles Darwin, Mozart, Rosa Parks, Abraham Lincoln, Oprah Winfrey. 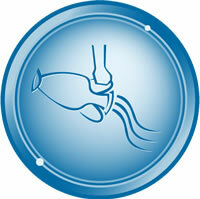 Those born under the sign of Pisces are compassionate, imaginative, creative, and artistic individuals. The symbol for this sign depicts one fish heading upward, and another fish pulling downward. This mirrors how Pisceans are frequently torn between two pathways in life, or actually do live two very different existences at the same time. Another strong, defining characteristic of a Pisces is their intuitive ability. Pisces is the oldest of all the zodiac signs and therefore many Pisces’ exhibit characteristics of an ‘old soul’. The careers that have been recommended for Pisces match with their personality traits. At the heart of any career decision, a Pisces must determine whether or not that particular job will allow them to be compassionate, intuitive, and creative in their expressions. Jackie Chan, Albert Einstein, Steve Jobs, Aretha Franklin, George Washington. Finding the right career can be a difficult task. Sometimes, there’s just so much you may want to explore that it becomes difficult to commit yourself to just one thing. However, understanding your particular strengths and weaknesses and unique personality traits can help you zero in on career paths, which may suit you well. And just remember, finding your calling and career path is rarely a linear journey; but with a little heart and determination, you’ll get to where you need to be.